Thanksgiving orders are now closed. We have prepared your Thanksgiving Feast to be ready for the time slot you had selected at checkout. 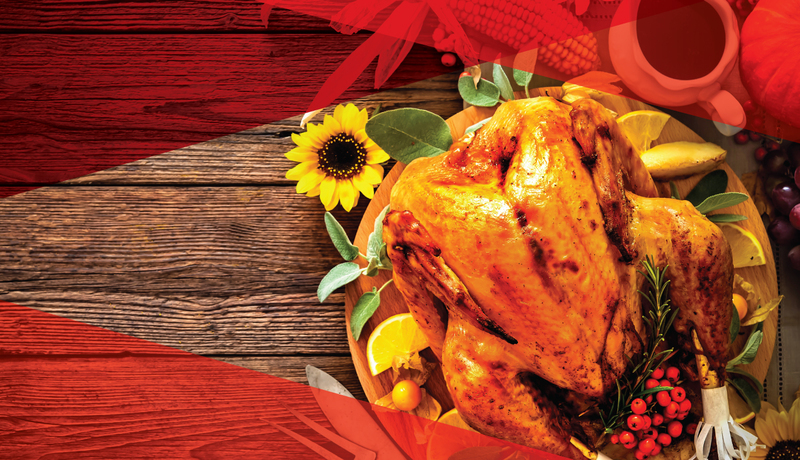 If you are sending someone else to pickup your turkey for you, please provide them with your order number and name. Sunday, October 7 from 11 a.m. to 1:30 p.m.
Sunday, October 7 from 1:30 to 4 p.m.
Monday, October 8 from 2 to 4 p.m.
Monday, October 8 from 4 to 6 p.m. Please visit the map for pickup location. Please contact the Edmonton Convention Centre’s banquet services office at 780.917.7663 with any inquiries about your order.